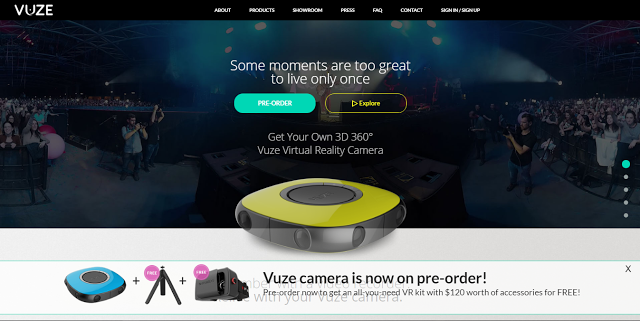 Vuze is the first affordable 3D 360-degree camera with 4k resolution (previewed here) and preorders for the general public have now begun, with delivery in October. 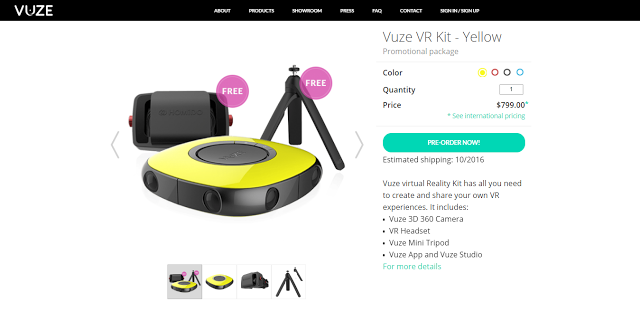 Originally, the price was announced as “under $1,000.” During the pre-order, the price is $799, and that includes a complete package with a custom selfie-stick/tripod, VR headset, app, and video editing software. If you had signed up on their website or if you’re a regular reader of our site, you could have availed of an early-bird preorder a month ago. Since orders are fulfilled on a first-come first-served basis, now’s the time to preorder it if you haven’t already done so. For related posts on the Vuze camera, including sample videos, click here or on one of the labels/tags below the sharing buttons.